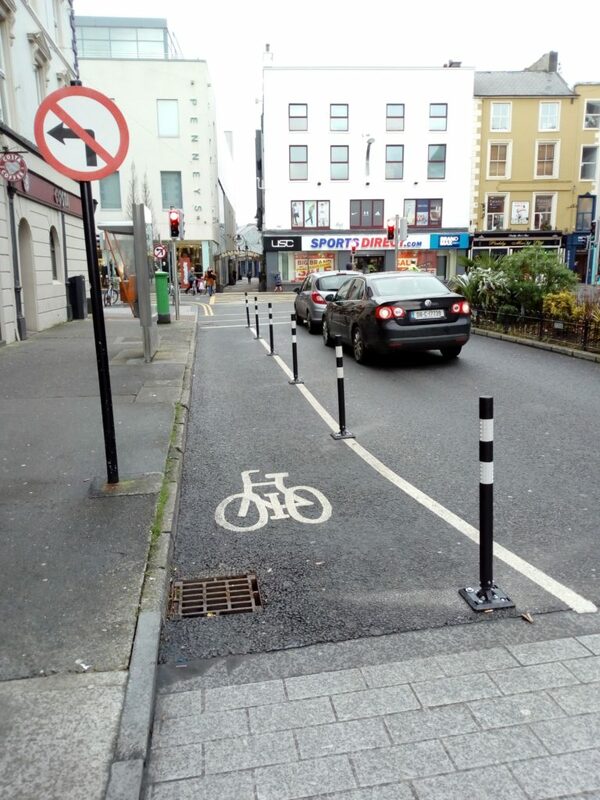 There was a nice xmas surprise for cyclists in Tralee as flexible traffic bollards were installed to protect the cycle lanes at the north end of Denny Street. The cycle lanes which were installed almost 2 years ago as part of the Active Travel Town project have been of little use to cyclists due to illegal parking. 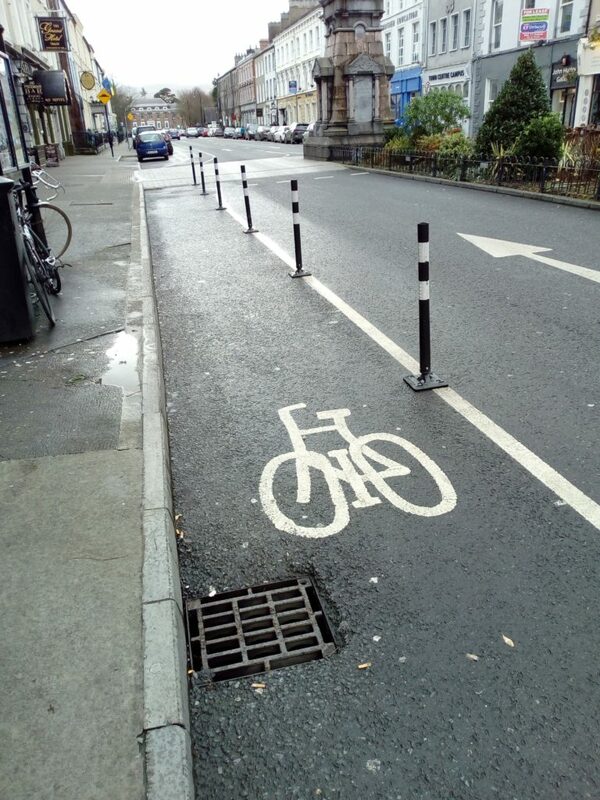 In response to this Kerry County council resorted to blocking the cycle lanes with barriers, which of course also rendered them useless to cyclists. Part of the issue was the use of the cycle lanes as an adhoc taxi rank due to a dispute regarding the re-designation of taxi locations as part of the traffic realignment in the town centre . Now to see how long they will last ! LuisSilva on Why we cycle ? Minister Ross’s mixed messages on funding. – Tralee to Fenit Greenway on Greenway funding ?